My daughters (D&D) are very fond of street food. These two little ladies somehow don’t find the food available on the streets any more ‘spicy’ compared to the home made half-a-chilli veg curry (though if I added a little more than half-a-chilli in their curry, they would cry foul and bring the house down!). Assemble everything on a plate, mix in the green chutney and add the garnish, and you are ready to go. 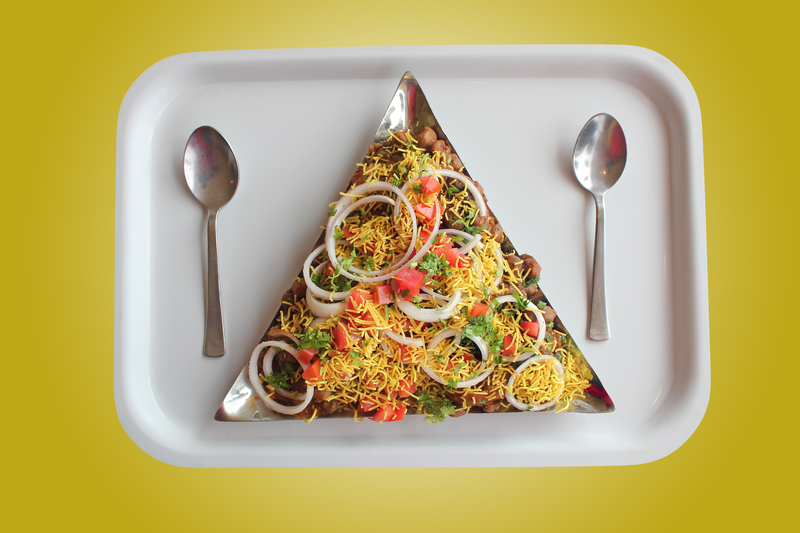 Call it anything – papad masala, channa chat, aloo chat, or whatever other name you fancy. My little girls loved it!